The fifth generation 4Runner is worth a look if you need a capable off-road and snow going vehicle. 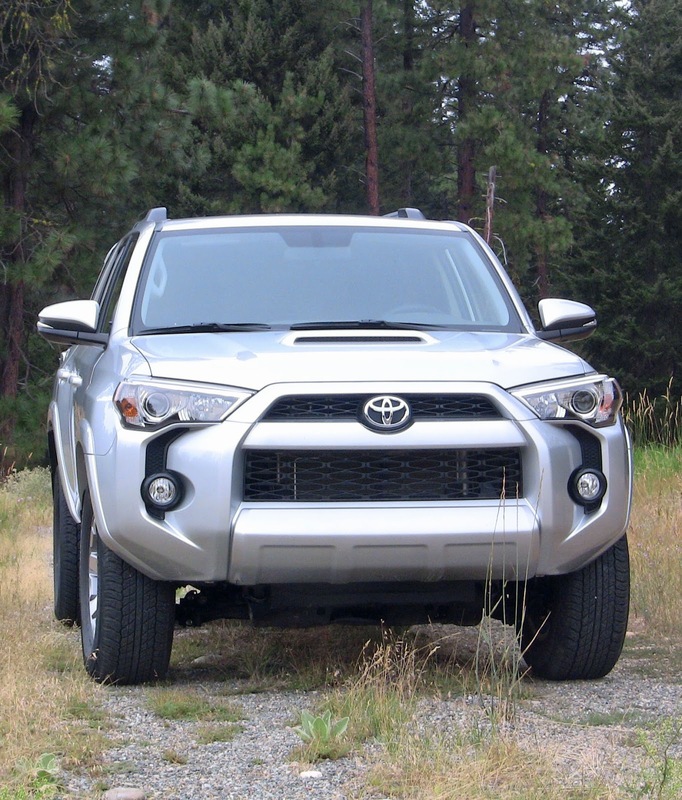 The 2014 4Runner has a wicked looking front-end with added comfort and convenience features. The 4Runner is the last mid-size SUV with Body-on-Frame construction. The 4Runner comes in 3 grades, SR5, Trail, and Limited. Each model has a 4 liter V6 with 270-horsepower and a five-speed automatic Transmission. I recently drove the three models and I like them all. The SR5 is the “value” model, offered in a two-wheel drive version or 4X4. Trail tough with connectivity and comfort. The sum total of all of this electronic wizardry is a vehicle that essentially drives itself (forward and reverse) through tough 4 wheel drive situations with only steering input required from the driver. Even with one wheel high in the air, the 4Runner moved forward like nothing was amiss. Now everyone can go through the rough stuff like a pro. A 4Runner can pull small stuff like snowmobiles and personal watercraft. The towing capacity is 4,700lbs with a tongue weight of 500lbs (4X4). The second generation audio system/multimedia system (Entune Audio Plus) is now standard in the SR5 and Trail grade 4Runners. Entune combines a smartphone, Satellite Radio, AM/FM radio, USB, CD player and more, into one easy to navigate touch-screen and voice recognition system. This is one of the better systems out there. The 2014 Toyota 4Runner has the manufacturer’s standard warranty: Bumper to bumper, 3 years/36,000 miles; Powertrain, 5 years/60,000 miles; Corrosion, 5 years/60,000 miles; Roadside assistance, 2 years/25,000 miles. Video of the 2014 Trail grade on the dirt.